Staff - TAILS Foundation Inc & PETwork Society! LaRain is one of the co-founders of TAILS Foundation Inc. LaRain absolutely loves all animals, and strives to bring the community together to help those in need. She was raised around animals her whole life (being raised on a farm), including llamas, horses, pigs, goats, ducks, chickens, ferrets, hamsters, dogs, cats, etc, etc, etc. Even a snake or two! 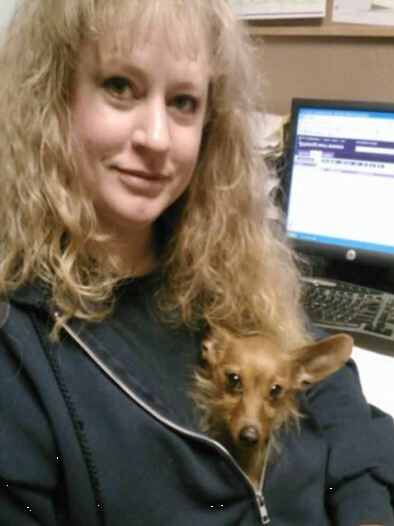 LaRain has worked as a Pet Sitter & Dog Walker since 2008, volunteered at the Post Falls Police Dept Animal Shelter, was the Volunteer Coordinator for the Kootenai Humane Society, and have helped people with their animals for years. Her goal is to have a farm/ranch that boards dogs as sustainable income to be able to foster those that are waiting for a new family, while enjoying the benefits of having a real home, not a kennel, while they wait. Currently our staff is volunteering their time until we can financially support.